A week after US officials said a Russian group hacked the White House, Pentagon officials told the Senate that they are creating cyber “surge forces” trained to defend America’s energy, telecommunication and critical infrastructure. The Pentagon intends to draft personnel for its cyber reserve force from civilians as well as the National Guard in the event of a network emergency, a top military official told the Senate Armed Forces committee on Tuesday. “Cyber attacks pose a serious threat to networks and systems of critical infrastructure. The Department of Defense relies on US critical infrastructure to perform its current and future missions. Intrusions into that infrastructure could disrupt or destroy critical systems in a time of crisis,” Eric Rosenbach, the defense principal cyber adviser to the Secretary of Defense, told the Senate Armed Forces subcommittee. Eric Rosenbach, SecDef's cyber advisor, testifying in front of Senate Armed Services subcomm. on emerging threats/capabilities right now. The testimony given to the subcommittee was regarding the military’s cyber programs, which were mentioned in the Defense Authorization Request for Fiscal year 2016 and Future Years Defense Program. Rosenbach said the cyber threats also target companies that work with the Department of Defense (DoD) in its Defense Industrial Base, and have already led to the loss of intellectual property and sensitive information. Those attacks, he added, threaten US economic growth and enable adversaries to more easily achieve technological parity with the US. The Pentagon is building the Cyber Mission Force under its offensive and defensive Cyber Command, which, when fully equipped in 2018, will have 133 teams and nearly 6,200 military and civilian personnel. Part of the force will be the “surge force,” with “up to 2,000 Reserve and National Guard personnel.” So far, the department is half staffed. “External actors probe and scan DoD networks for vulnerabilities millions of times each day, and over one hundred foreign intelligence agencies continually attempt to infiltrate Department of Defense networks. Some incursions – state and non-state – have succeeded,” said Rosenbach. 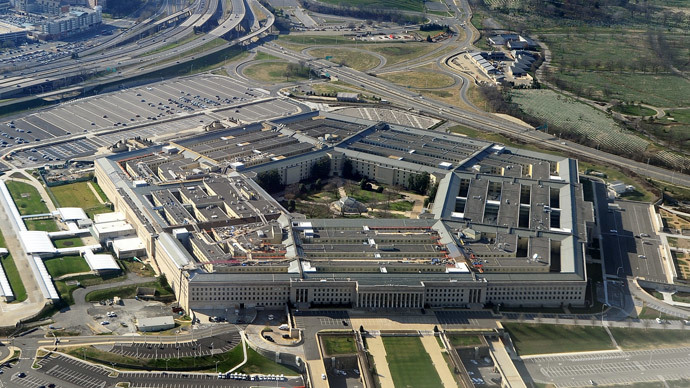 Due to these constant cyberattacks, the Pentagon wants to bring in security reinforcements, though it’s currently facing a cyber workface shortage. Military and civilian agencies are competing with the private sector for scarce cyber talent. Lawmakers and advisory councils have long recommended the federal government institute a civilian cyber militia to aid agencies during crises.